At Generations Dental Care, we’re proud to offer time-honored, individualized dental care that’s paired with some of the most modern technologies available in the dental world today. These state-of-the-art techniques and tools help to enhance every step of your experiences with us, from initial diagnosis to procedure to healthier, happier results. If you’re ready to get started with a dental practice that truly has your best interests at heart, contact our Concord, NH office today! Our doctors and team members look forward to meeting you and your family. We understand that many patients struggle with anxiety or fear when faced with impending dental care. That’s why our team offers oral conscious sedation as a helpful comfort aid that can make the overall experience much smoother and more pleasant. You’ll be prescribed a sedative and given instructions on when to take it before your procedure is set to begin. A friend or family member will need to drive you both to and from our practice in order to ensure your safety. Once under the effects of the medication, patients should enter a deep state of relaxation. They may even not remember the appointment after it’s completed and the effects have worn off, which is the ideal outcome for many people. 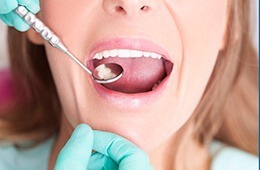 Sometimes, it can be frustrating to not see what your doctor is seeing as they inspect your smile. At Generations Dental Care, we want to help our patients become fully informed partners as they work towards a happier, healthier smile – that’s why we regularly use Digital Doc IRS intraoral cameras in our treatment rooms. 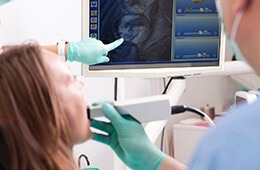 This state-of-the-art device transmits high-resolution images of your teeth and gums to a convenient monitor, allowing our team to point out areas of concern and clearly explain the effects of certain treatment options with a visual aid. Today, traditional film X-rays and tedious darkrooms are safely in the past here in Concord, NH. Instead, our staff is proud to offer advanced digital radiography through DEXIS. Instead of waiting hours for your photos to develop, crystal-clear X-rays can be captured and sent to our computer system in seconds – we can even magnify and color-code them for both our benefit and the patient’s benefit! What’s even better is that radiation exposure is significantly reduced with this advanced method, making the process much safer for patients of all ages. Do you remember the days of goopy physical impressions? These materials were not only uncomfortable, but unreliable – retakes were a constant necessity to ensure precise and successful results. With iTero, our doctors have transformed this necessary process for the better! This machine simply scans the teeth, captures photos, and creates a comprehensive 3D model of the patient’s smile for restorative and cosmetic use. It’s really as simple as that. Today, laser dentistry has helped our team supersede many lacking, traditional dental procedures, providing care that’s much more comfortable, quick, and accurate. With our BIOLASE Epic X soft tissue laser, the intense, focused beam of light can reshape soft tissue, treat gum disease, and provide many other essential procedures, all while minimizing bleeding and encouraging gum regeneration. Many patients don’t even require anesthesia! Being able to identify tooth decay and cavities as early on in their development as possible is very important to our Concord dental team. 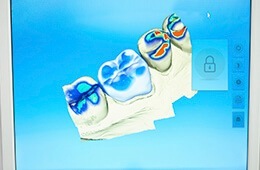 That’s why we’ve invested in the CariVU Cavity Detection System, which illuminates the teeth, sends back valuable information to our computer system, and creates digital images that clearly show the presence of decayed enamel in certain areas. Our dentists can even reveal damage that exists between or within the teeth and completely out of sight of the naked eye. While soft tissue lasers are used to treat health and aesthetic concerns that trouble the gums, our Waterlase hard tissue laser can provide valuable assistance with decay removal, cavity preparation, root canal therapy, and much more. Unlike traditional drilling, any trauma or damage to the healthy portions of the tooth is as minimized as possible. In fact, this technology helps to increase the bonding strength of tooth-colored restorations, resulting in longer-lasting success that helps patients enjoy their improved smiles for many years!